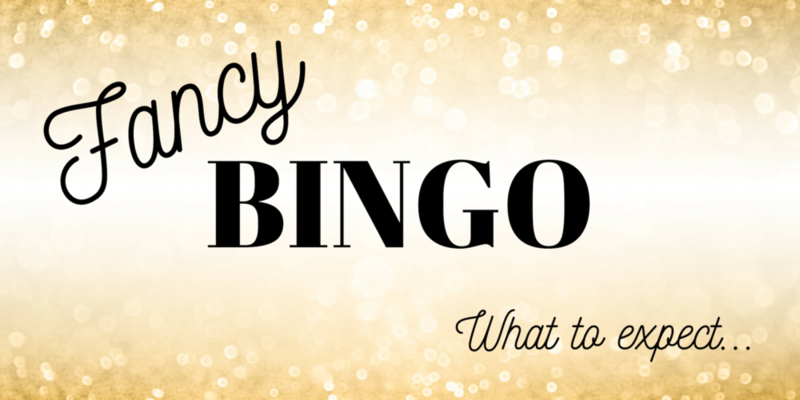 This Saturday, March 30th, is City Church’s first ever Fancy Bingo! We’ll get together at 7pm at Lewis Ginter Recreation Association (NOT Lewis Ginter Botanical Garden) to play bingo, enjoy some drinks and good food, and spend time together. If you haven’t RSVPd yet, please do! Listen, you might’ve noticed that we have a lot of kids running around at City Church…like a lot. And while we love our little ones early, and while they are very much part of the church family, we wanted to put together an event that’s just for the grownups. Because it is very, very fun. Fancy, for this event, means cocktail attire and up. Got a tux? Go for it. Have a bridesmaid’s dress in your closet that you’re dying to wear? Follow your heart. Admission, food, and drink are free. Cards are not. How much do cards cost? How do we pay? $4 a piece or three for $10. Cash is preferred. Venmo (CityChurch-ofRichmond) or Cash App (CityChurchRichmond) will also be accepted, just be ready to show proof of payment when you collect your cards. Lewis Ginter Recreation Association (LGRA) is located at 3421 Hawthorne Avenue in the Northside. Parking is available in the neighborhood but please note the parking signs surround LGRA. Carpooling is encouraged. GRTC's #1 bus lets off at Chamberlayne and Walton, just one block from LGRA. Check in at the table in the foyer to pay for and/or pickup your cards. We’ll also have a special gift that you’ll want to keep with you for the evening. Then head upstairs and join the fun! Yes! In fact, bring a few!